Halfway between the kick drum and the mandolin lies full, thumping bass. We've got your rhythm section covered with C.F. 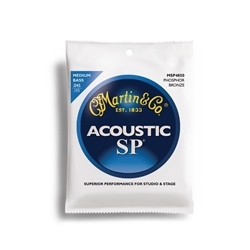 Martin Acoustic SP Bass strings, available in long-lasting 92/8 Phosphor Bronze.